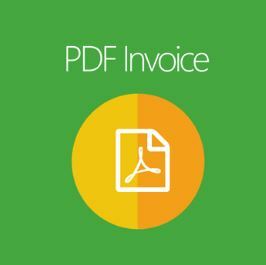 Surely you still have a lot of questions in choosing Mageplaza PDF Invoice extension. Understanding this, we give you specific and more precise insights on why you should not miss a great module like this one. This feature allows store owners to design beautiful invoice templates. It includes complete information about your store, and it shows the professionalism of your team. Besides, you can customize the design of the template easily: style, color, variable, barcode, QR code and more. 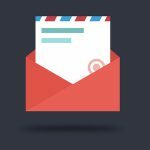 As soon as the customer pay a PDF Invoice, it will be attached automatically to the email. Also, this feature allows store owners to choose which billing documents to send to customers such as send PDF Invoice or Credit Memo. Barcode & QR code feature enables simplifying management and reduce the workload. Use Barcode/QR code for Order, Invoice, Shipment number. Barcode (EAN13, UPC, etc.) for product items. 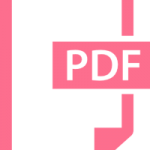 Preview: Admins can preview PDF documents before saving. Easy to customize: You can quickly set up the company information, logo, color or style, etc. By using CSS & HTML, you are easy to customize templates. Paper-size: Store admins are enabled establishing paper sizes in configuration. This module support Letter, A4, A5, etc. Ready-to-use templates: This module includes 12 pre-made templates beautifully that have the highest applicability. Print in mass: By one single click, administrators and customers can print all documents quickly. Billing documents: This module assists four types of billing documents: Invoice, Order, Shipment, and Credit Memo. Mageplaza PDF Invoice includes two sections: Manage Templates and Configuration. They are packaged into the zip file, and it is straightforward to install via the user guide here. Now, how about exploring this module? With each billing document, you can customize all the information included in the billing document. Choose the type of billing documents you want to edit and make the changes you want. Choose Yes to Enable Mageplaza PDF Invoice. That is so wonderful. Mageplaza PDF Invoice provides various and beautiful colors. With this feature, admins can totally select the color that is suitable with their store style. Select Yes to Enable this feature. Choose the template that you want to modify in the Select Template field. In this Note item, you can enter anything that you want to add/remove/change. Similar to the Order. In this Invoice, you can also enable Invoice by selecting Yes as well as edit anything you desire. Mageplaza PDF Invoice is an indispensable module for every online store. It not only helps to create beautiful sales documents but also improves the customer’s shopping experience. Furthermore, integrating this tool into your shop will significantly increase your store’s sales. In particular, if any errors occur, their support team is always available and enthusiastic to help you handle them as quickly as possible. It’s a pity if you don’t own this fantastic module for your e-commerce store.